It all began in a one-room schoolhouse in Nova Scotia . 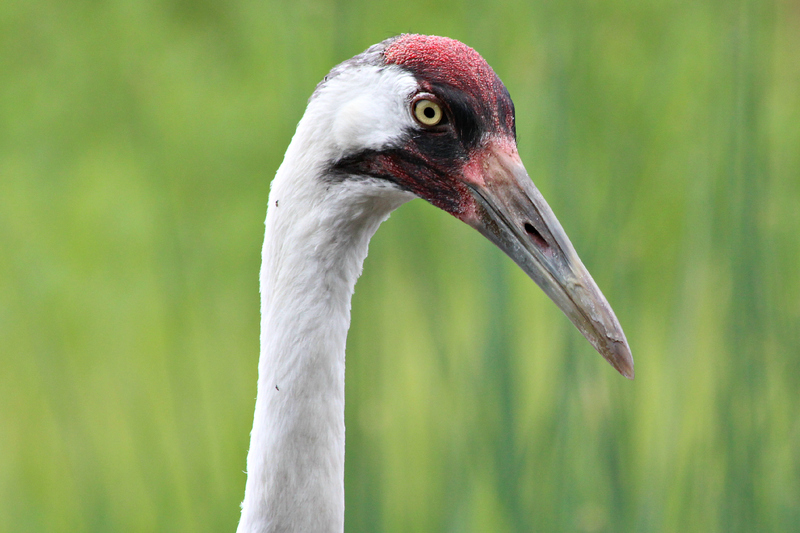 . .
George Archibald has devoted his life to the conservation of cranes. As co-founder of the International Crane Foundation, he’s worked for more than 40 years to understand and protect these stately birds. How did such fascination and commitment begin? 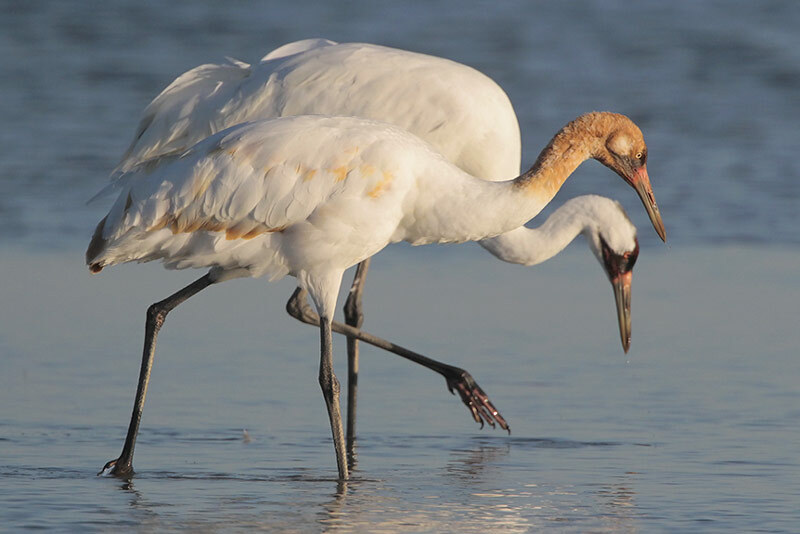 “Since the age of eight, I’d been interested in the Whooping Crane because I heard a radio broadcast about the discovery of the nesting grounds. It was the CBC, Canadian Broadcasting Corporation’s, School of the Air science program that we listened to in my one-room schoolhouse in Stillwater, Nova Scotia. 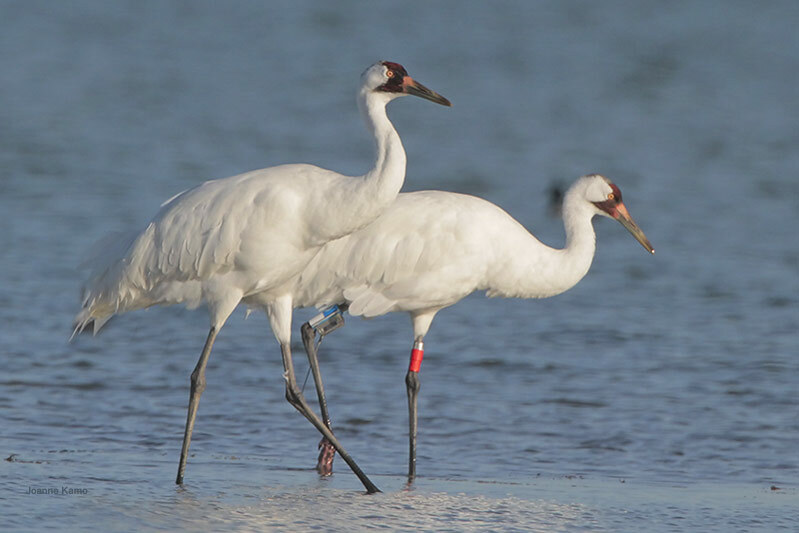 And it was this drama of a male and female crane who’d flown the gauntlet to get 2,700 miles from Texas to their breeding ground… [wetland/stream]. I never forgot it! And I read everything I could find, as a child, on Whooping Cranes. 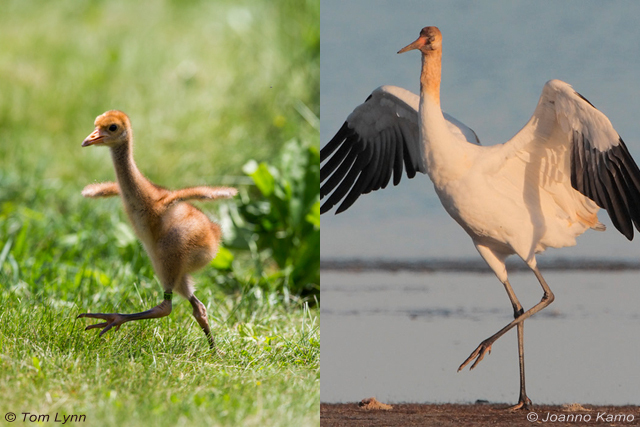 [Calls of Whooping Cranes] It led me to Cornell University to do my doctorate on the evolutionary relationships of cranes as revealed by their behavior. Bird sounds provided by The Macaulay Library of Natural Sounds at the Cornell Lab of Ornithology, Ithaca, New York. 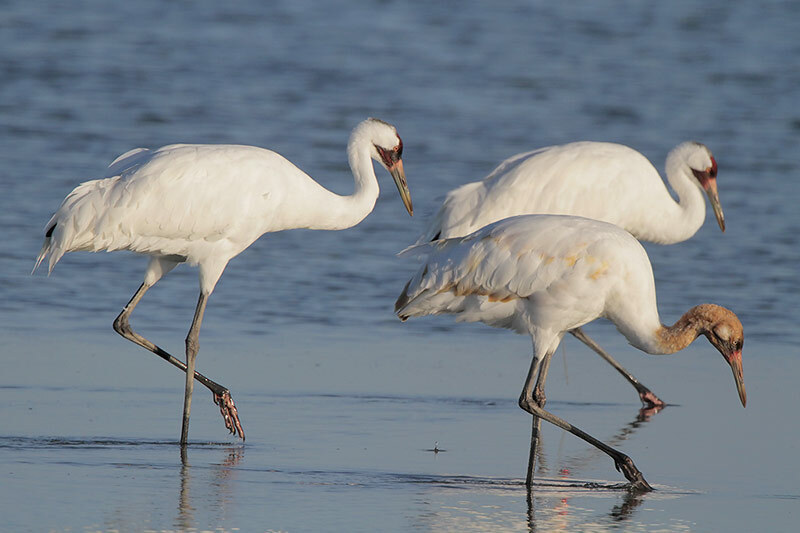 Calls of Whooping Cranes  and crickets [also 2748] recorded by George Archibald. Nature SFX sounds recorded by Gordon Hempton of Quietplanet.com; #18 stream flowing.